What’s the first thing that comes to mind when you think about the food you hate the most? Are you alone in this or do you know other people who share your disgust? Do they happen to be from the same state as you? You might think this is a silly question — and, well, I’m not saying it’s not –, but it will make sense after you check this map. 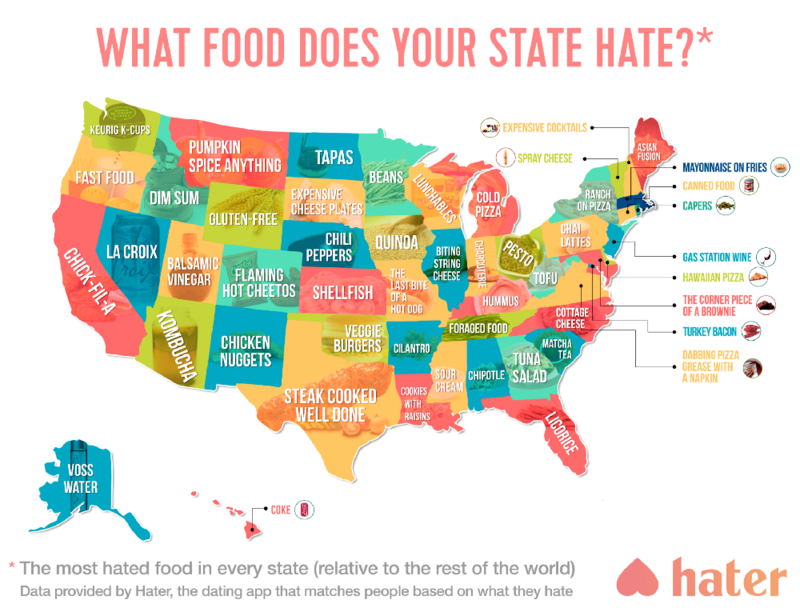 Because inhabitants in each US state share some trends, and the food they hate the most happens to be one of them. The guys at Hater, a dating app that matches people based on what they hate, collected this data. From cold pizza to veggie burgers, this map shows the most hated food in each US state.